Pawing is considered to be a major problem that horses have as it usually occurs when they are in a stall. The problem can be extremely annoying for the owner as it usually damages the floor of the stall, causes major injuries to the horse or it may hurt a person standing close to animal. You can get rid of this problem by training the horse or by using the horse shoe method. Take necessary steps to train the horse on a regular basis as lack of training causes frustration and boredom for the animal. First, you must know what the problem is. Determining the reason behind this behaviour will make it easier for you to find a solution. There are generally two reasons for this behaviour as either the horse is anticipating or it is bored in the stable. Both problems have different solutions so make sure you identify what the problem is first. A good way to get rid of this habit is to avoid giving food to the horse when it is pawing. If the pawing starts when you are giving food to the horse, stop feeding it so that it realises what the reason is. You can also use a whistle to distract the horse’s attention from pawing so that it can eat properly. Generally, lack of training may be the reason for pawing. When horses are tied in the stable for a long time, the problem may arise as they are getting impatient. 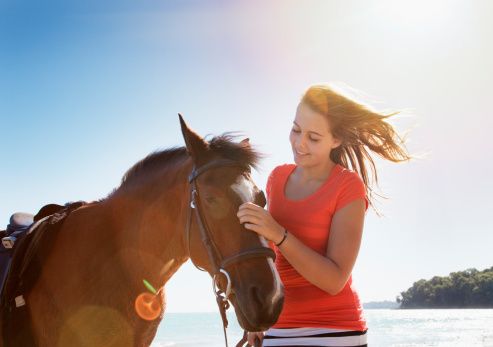 You can take the horse out for a ride when this problem arises so that the nervousness ends. This is a technique used as a stronger measure to get rid of this problem. You can slide a large horse shoe down the horse’s leg so that it covers its cannon bone. In this way, whenever the horse paws, it will jab its bone and the pawing may stop.